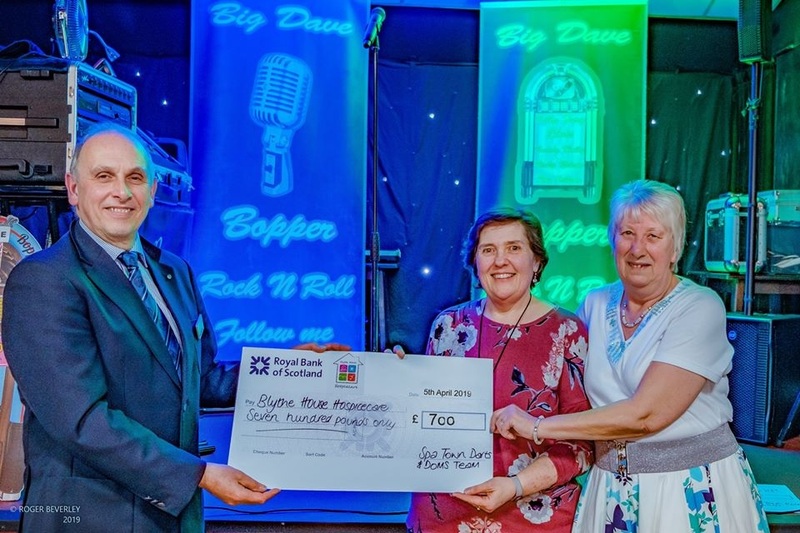 Our huge thanks go to Spa Town Ladies Darts ‘n’ Doms team, and the Spa Town Rock ‘n’ Rollers group after they’ve collectively raised £1,000 for Blythe House Hospicecare. Blythe House trustee, Mike Hardman met with both groups to receive respective cheques of £700 from the Darts ‘n’ Doms ladies, and £300 from the Rock ‘n’ Rollers. 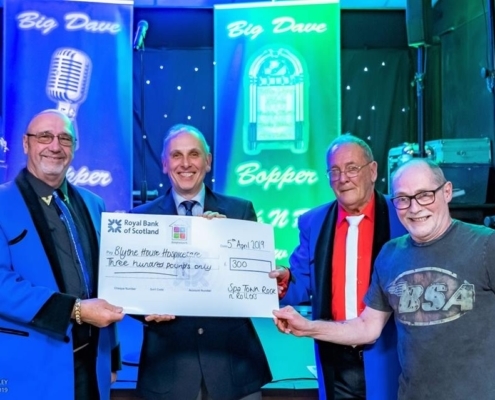 The Rock ‘n’ Rollers held a raffle to raise the money, at a farewell part for Trevor Lowton who after 15 years of running the group has decided to hang up his ‘Blue Suede Shoes ‘ and retire. Rock ‘n’ Roll nights are held on first Friday of the month at Buxton Working Men’s Club where live groups or solo artists sing and play music from the 1950s and 60s. Everyone is welcome; non-member admission is £2, payable on the door. Registered name: High Peak Hospicecare.